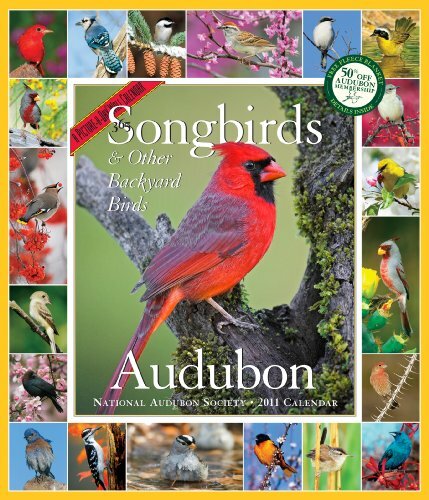 This tenth anniversary edition of America’s bestselling bird calendar offers one sighting a day, in dazzling full color, of the jewel-like avian friends who alight in our yards and charm us with their plumage and song. A Marsh Wren clinging to a reed. Three plump Barn Swallows. A pair of Ruby-throated Hummingbirds hovering for a meal. Plus hundreds more. In addition to the daily photos, one species is spotlighted each month with a large photo and detailed text.